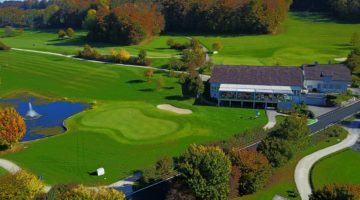 Bad Schinznach is a challenging 9-hole course surrounded by splendid health spas and ancient woods, where you make 18 holes out of 9 fairways. 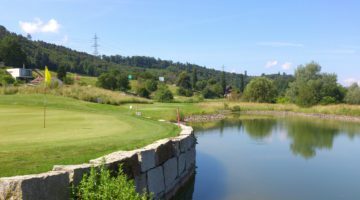 Players will need to plan each hole with care, since our course’s impressive and varied topography makes for a challenging and entertaining round, whatever your skill level. And after the game, why not take a little time to relax and enjoy some of the other delights that the Schinznach spa-town region has to offer. Tees with distance markers, Chipping- / Pitching Green, Putting Green, Sand Bunker. Guests: Handicap 36. ASG club members, members of recognised overseas foreign clubs or associations, ASGI club members and Migros Golfcard holders are all welcome from Monday to Friday. Requirement to show current club or handicap card. Each guest is allowed to visit the club 5 times a year. Members’s guests: Handicap 54. Member of ASG Golf Club, recognized foreign golf club, ASGI member or ASG GolfCard holder. Monday to Sunday. A maximum of 5 times a year, the same guest gets the right to play. This does not apply to tournaments.